After a successful launch in 2017, Writing Day Workshops is excited to announce The 2019 Kansas City Writing Workshop — a full-day “How to Get Published” writing event in Kansas City, MO, on March 30, 2019. This writing event is a wonderful opportunity to get intense instruction over the course of one day, pitch a literary agent or editor (optional), get your questions answered, and more. Note that there are limited seats at the event (150 total). All questions about the event regarding schedule, details and registration are answered below. Thank you for your interest in the 2019 Kansas City Writing Workshop! This is a special one-day “How to Get Published” writing workshop on Saturday, March 30, 2019, at the Hampton Inn & Suites Kansas City Country Club Plaza. In other words, it’s one day full of classes and advice designed to give you the best instruction concerning how to get your writing & books published. We’ll discuss your publishing opportunities today, how to write queries & pitches, how to market yourself and your books, what makes an agent/editor stop reading your manuscript, and more. No matter what you’re writing — fiction or nonfiction — the day’s classes will help point you in the right direction. Writers of all genres are welcome. By the end of the day, you will have all the tools you need to move forward on your writing journey. This independent event is organized by coordinator Kimiko Nakamura of Writing Day Workshops, with assistance from the Kansas & Missouri Society of Children’s Book Writers & Illustrators (SCBWI). 9:30 a.m. – 5:00 p.m., Saturday, March 30, 2019, at the Hampton Inn & Suites Kansas City Country Club Plaza, 4600 Summit St., Kansas City, MO 64112. (816)448-4600. 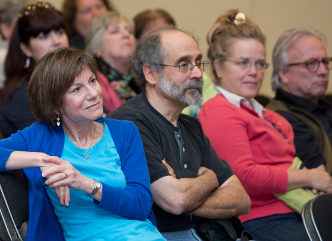 9:30 – 10:30: “Let’s Talk Craft — Tips on Making Your Prose Awesome,” taught by Vicki Selvaggio. This workshop, taught by a literary agent, will help you understand what makes a manuscript tick. Learn tips on dialogue, plot, and character. Get inside information on how to improve the voice and craft of your work before you turn it in. 10:30 – 11:45: “Understanding Query Letters, and How to Get an Agent,” taught by Kimiko Nakamura. If you want to get an agent, you’ll need to understand how to research agents, how to write a good query letter, submission don’ts, finding the right match for you, what comprises an amazing pitch, and much more. In this speech, you’ll learn everything you need to know about how to entice an agent, and write a solid query letter that gets requests. 11:45 – 1:15: Lunch on your own. There are several restaurants within quick driving distance. A map of places to eat will be passed out prior to the event. 2:50 – 3:50: “Savvy Social Media — Understanding the First Steps of Self-Marketing, and Even a Few Advanced Ones, Too,” taught by Heather Cashman. This workshop, taught by an editor with social media experience, focuses on becoming savvy on Twitter and other platforms, as well as which ones work best for marketing to different age groups. When is it best to make a video? How should you use Facebook to market? Can you have multiple Twitter accounts? Questions like these will be addressed. Learn how to make your posts & content more visible, so they can get shared and help you market yourself and sell books. 4:00 – 5:00: “So You Have an Agent or Book Deal — Now What?,” taught by Eric Smith. Many writers seek to get an agent and book deal. But what happens after these steps? Hear from literary agent Eric Smith on how to effectively work with a literary agent, what to expect in the submission process, what it’s like to work with a publishing house editor, how to sell multiple books in your career, and much more. Stephanie Hansen [SOLD OUT OF PITCH APPOINTMENTS] is a literary agent with Metamorphosis Literary Agency. She represents predominately young adult science fiction & fantasy but has a secret addiction for adult thrillers. While these are her favorite, she also handles children’s picture books, middle grade, young adult science fiction & fantasy (diversity = a plus), adult literary fiction, and women’s fiction. She is actively building her client list. Learn more about Stephanie here. Becky LeJeune [SOLD OUT OF PITCH APPOINTMENTS] is a literary agent with Bond Literary Agency. Becky is interested in adult and teen general (mainstream) fiction — horror, mystery/thriller, historical fiction, science fiction novels, and fantasy novels. Learn more about Becky here. Eric Smith is a literary agent with P.S. Literary Agency. He seeks adult science fiction and fantasy. “I’m looking for accessible fantasy and sci-fi, especially books that do a bit of genre blending.” That said, no adult epic fantasy or military sci-fi, please. He likes adult literary & commercial/mainstream fiction: “Again, the sweet spot here, is work that does a bit of genre mashing. I like literary novels with a splash of quirk.” Thrillers and mysteries are welcome, but no thrillers about terrorism, please. In young adult, he seeks contemporary, science fiction and fantasy — including diverse voices/books or genre blending. For nonfiction, he likes cookbooks (particularly ideas from bloggers), books that focus on pop culture and geekery, fun books that teach readers about the odd and the unique (a la Mary Roach), and essay collections & memoir from people who are writing and publishing pieces actively. He is not seeking: middle grade, picture books, angel & demon love stories, heaven/hell stories, horror, or adult fiction about sports. (YA fiction about sports is fine.) Learn more about Eric here. Victoria Selvaggio [SOLD OUT OF PITCH APPOINTMENTS] is a literary agent with Storm Literary (formerly with Jennifer De Chiara Literary). She is seeking: “I am currently looking for lyrical picture books, middle grade and young adult fiction, new adult, mysteries, suspense, thrillers, paranormal, fantasy, narrative nonfiction, adult fiction but find I’m especially drawn to middle grade and young adult. I especially love thrillers and all elements of weird, creepy stuff. If it’s out of the box, and it will make me think and think, long after I’m done reading, send it to me! On the flip side, I yearn for books that make me laugh, cry and wonder about the world.” Learn more about Victoria here. Heather Cashman is a literary agent with Storm Literary. She is seeking: “I’ll take anything in the middle grade or young adult realm, especially if it has a high concept. For adult, I am interested in romance, women’s fiction, political thrillers (even ones without a romance), and small town romances.” Learn more about Heather and her bio here. Leanne Tavares is a literary agent with Metamorphosis Literary. She is seeking: new ways to fall in love. Romance in all age groups and genres sits high on her list, followed closely by women’s fiction and contemporary stories in both adult and young adult. Sports stories of any kind are welcomed and encouraged. Extra credit to stories based near Boston, MA and/or feature a diverse cast. Leanne is not a great fit for thrillers/mysteries or historical fiction at this time. Learn more about Leanne here. Jessica Schmeidler [SOLD OUT OF PITCH APPOINTMENTS] is a literary agent with Golden Wheat Literary. She is seeking: general/mainstream fiction, mystery, romance, suspense/thriller, fantasy, science fiction, young adult and middle grade, religious nonfiction, children’s picture books, and Christian fiction. Golden Wheat Literary was founded in an effort to help connect Christian writers with the vast market of both Christian and secular publishers. To that end, the manuscripts that are accepted do not need to be overtly Christian, but must exist within the realities of Christian faith. If your manuscript’s elements can all be true without any part of God’s Word needing to step aside or be discounted, it is acceptable for submission/pitch. Learn more about Jessica here. More 2019 agents/editors will be added in the coming weeks. $169 — EARLY BIRD base price for registration to the 2019 KCWW and access to all workshops, all day, on March 30, 2019. As of November 2018, event registration is now OPEN. Add $69 — for an in-depth, personal critique of your one-page query letter from Chuck Sambuchino, a former editor for Writer’s Digest Books and the Guide to Literary Agents. Registrants are encouraged to take advantage of the specially-priced critique, so they can send out their query letter with confidence following the workshop. Also, if you are meeting with an agent at the event, you’re essentially speaking your query letter aloud to them. Wouldn’t it be wise to give that query letter (i.e., your pitch) one great edit before that meeting? Picture books: Faculty member Alastair Heim, a published picture book author, will get your work in advance, edit your book (1,000 words maximum), meet with you for 10 minutes at the workshop to discuss his thoughts, and pass along written critique notes at the meeting. Alastair is published with Houghton Mifflin and Little Bee Books. His agent is Kelly Sonnack of Andrea Brown Literary Agency. Learn more about him at his website. Memoir, middle grade (any type), young adult (any type), historical fiction, women’s fiction, literary fiction, mainstream fiction, fantasy, mystery: Faculty member Randi Hacker, a published author, will get your work in advance, edit your 10 double-spaced manuscript pages, meet with you for 10 minutes at the workshop to discuss her thoughts, and pass along written critique notes at the meeting. Randi was the creator, publisher, editor and writer of P3, an award-winning environmental magazine that empowered kids to act on behalf of their home planet. Her book, How to Live Cheap, Green and Happy enjoyed a cult following. Her young adult novel, Life as I Knew It, was released by Simon & Schuster and named one of the Books for the Teen Age the New York Public Library that year. Her essays and articles have appeared in The New York Times Book Review, Punch and Spy. Southern fiction, literary fiction, mainstream fiction, women’s fiction: Faculty member Lorna Hollifield, a published Southern fiction author, will get your work in advance and edit the first 10 double-spaced pages of your story. Lorna is the author of the upmarket Southern fiction novel, Tobacco Sun, and is represented by Kimberly Whalen of Whalen Literary. She is a former officer with the South Carolina Writers Association. Unlike some other critiquers listed here, Lorna will not be at the KC event to meet with writers for 10 minutes each. Instead, she will be available for 10-minute Skype meetings for each attendee critique. Learn more about Lorna at her website. How to pay/register — Registration is now open. Reach out to workshop organizer Kimiko Nakamura via email: wdwcoordinator@gmail.com, and she will provide specific instructions for payment and registration to get you a reserved seat at the event. Payment is by either PayPal or check. Because Kimiko plans different workshops, make sure you note that you’re inquiring about the Kansas City workshop specifically. Because of limited space at the venue of the Plaza hotel, the workshop can only allow 125 registrants, unless spacing issues change. For this reason, we encourage you to book sooner rather than later. How to Register: The easy first step is simply to reach out to workshop organizer Kimiko Nakamura via email: wdwcoordinator@gmail.com. She will pass along registration information to you, and give instructions on how to pay by PayPal or check. Once payment is complete, you will have a reserved seat at the event. The KCWW will send out periodic e-mail updates to all registered attendees with any & all news about the event. Because Jessica plans different workshops, make sure you note that you’re inquiring about the Kansas City workshop specifically. Thank you for your interest in the 2019 Kansas City Writing Workshop.